When clients face difficult, high-exposure class action litigation, they turn to our deep bench of lawyers with recognized success in class and multijurisdictional cases. Over the past decade, the Class Action Defense team has successfully defended more than 100 class cases in federal and state courts and in arbitrations around the country. With clients spanning a wide range of industries, our extensive experience includes antitrust, consumer products and services, copyrights and related forms of intellectual property, partnerships, privacy statutes, real estate, securities (stock, warrants, debts, tax-driven investments and privately placed securities), and wage and hour violations. Our lawyers are adept at obtaining positive outcomes at every stage of a class action, from preventing cases from ever being filed to winning on appeal. We view every matter as unique, and work closely with clients to understand their objectives and tailor innovative legal strategies to achieve them. We have obtained orders dismissing class action suits with prejudice at the pleading stage, denying certification motions, striking class members after merits rulings, depriving plaintiffs of the ability to file class motions based on the one-way intervention doctrine and obtaining interlocutory review of certification orders. We bring to every case our formidable reputation as experienced and effective trial lawyers. The plaintiff’s bar knows our record of success in trying class cases. This gives us an edge as we execute our litigation strategy, allowing us to focus on the possibility of early resolution, negotiating favorable and creative settlements and obtaining court approval for them. Defended a leading transportation network company in class actions alleging violations of California's false advertising and unfair business practices laws. Secured a dismissal with prejudice of a biometric privacy class action for a video game publisher. Defended a video game developer against a consumer class action alleging that the game’s features and experience were overstated in advertising. Defeated class certification, and the case was dismissed with prejudice. Secured class decertification in a federal class action against a homeopathic and dietary supplement company alleging false marketing of a dietary supplement. The claims included unfair competition, false advertising and violations of California’s Consumer Legal Remedies Act. Represented an appraisal services company in defense of a nationwide consumer class action. Irell & Manella LLP was retained after plaintiffs’ counsel obtained class certification of its Real Estate Settlement Procedures Act (RESPA) claim. One month before trial, and after Irell prevailed on a summary judgment motion seeking dismissal of the named plaintiff, a favorable settlement was reached. Represented a software company in a putative class action filed by a purchaser alleging violations of California business laws, breach of contract and other claims. Following mediation, a favorable settlement was reached and the claims were dismissed. Secured class decertification and a dismissal with prejudice of a false advertising class action against a homeopathic and dietary supplement company alleging violations of state consumer protection laws because its supplement failed to cure tinnitus symptoms as advertised. Represented an herbal supplement company in defense of a consumer class action alleging misrepresentations in connection with a homeopathic allergy relief product and seeking relief under California consumer statutes including the Consumers Legal Remedies Act, False Advertising Law and Unfair Competition Law. In response to Irell’s pre-certification discovery efforts, and before class certification briefs were filed, the plaintiff dismissed the action with prejudice. Successfully represented an international fast food chain in defense of class and unfair competition claims on behalf of consumers alleging false advertising in the description of the food's nutritional value. The court entered judgment in favor of the firm's client after granting motion to dismiss. Obtained dismissal of a putative consumer class action alleging a Fortune 100 company engaged in billing fraud. Represented Public Storage, a publicly traded Fortune 500 storage company, in connection with a securities class action lawsuit that sought to enjoin Public Storage’s acquisition of a number of limited partnerships in which it served as the general partner and, later, for alleged damages resulting from the mergers. The limited partners argued that Public Storage had breached its fiduciary duties, the limited partnership agreements and California’s Limited Partnership Act by, among other things, paying too low of a price for the limited partnership units and failing to have an adequate process in place relating to the transaction. After a two-week trial in 2016, the court ruled entirely in favor of Public Storage and denied plaintiffs any recovery. (See "Public Storage Defeats Shareholder Class Action" in the Los Angeles Business Journal and "Irell Locks Up Win for Public Storage" on Law.com.) The victory was recognized as one of the 20 "Top Defense Verdicts of 2016” by the Daily Journal. Represented a designer and manufacturer of premium electronic vehicles in defense of a putative shareholder class action in federal court for alleged failure to adequately disclose risks of fire following several highly publicized incidents. 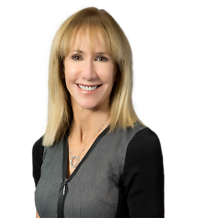 Irell secured a dismissal of the complaint without leave to amend and obtained a unanimous affirmance of the dismissal by the Ninth Circuit Court of Appeals. Represented the former chairman and chief executive officer of Countrywide Financial Corporation in numerous shareholder and securities class actions. In a number of the lawsuits brought by institutional investors in Countrywide securities or mortgage-backed securities, we achieved dismissals at the pleading stage (one of which was affirmed on the merits by the Second Circuit Court of Appeal). Other shareholder cases were settled without any personal contribution from our client, including a nationwide class action settlement totaling $624 million. Represented officers and directors of an international gaming and hospitality corporation in a shareholder class action lawsuit alleging violations of securities laws. The firm secured a settlement of the consolidated shareholder class action that required no payment and no admission of liability by its clients. The class action was appealed by a shareholder objector. Irell then represented clients before the Ninth Circuit Court of Appeals, which unanimously affirmed the settlement approval and dismissal of the securities class action. Secured a dismissal of federal Securities Act claims against an international consumer goods and farm products company, and certain officers and directors, relating to restatement of its audited financial statements. Represented an oil and gas company in multijurisdictional litigation arising from a series of transactions in which the company bought out limited partners in certain oil and gas development limited partnerships. A settlement was reached in the class action lawsuit, which had been pending in the U.S. District Court for the Central District of California. Represented the former CEO and former CFO of a publicly traded manufacturer of high-definition televisions in a complex securities class action lawsuit and related bankruptcy proceedings following the collapse of the company. After several successful pleading motions, the investor litigation was resolved without personal contributions from our client. Represented a ticket sales and distribution company and its board of directors in a shareholder class action lawsuit, which, among other things, sought to enjoin a merger with a global leader in live entertainment. After expedited discovery and briefing, the court denied plaintiffs' motion to enjoin the transaction. Represented two former officers and directors of a telecommunications company and networking provider in connection with a number of high-profile cases, including shareholder and employee class actions, alleging violations of the securities laws and ERISA claims. Settlements were reached in the securities and ERISA class actions in which our clients made no monetary contribution. Represented a developer and supplier of gaming technology and its directors and officers in a series of securities class actions following disclosure of a federal government investigation and forfeiture proceedings. The plaintiffs alleged claims under Section 10(b) and Rule 10b-5. After successfully transferring actions originally filed in California to Tulsa, Oklahoma, the firm obtained a dismissal with prejudice of all claims. Represented one of the country's largest cable networks in defense of multiple securities law class actions, shareholder derivative lawsuits and a SEC investigation relating to alleged accounting irregularities. A settlement was reached in the matter. Represented a provider of microwave, radio frequency and power solutions for defense, scientific and other applications and several of its board members in a purported shareholder class action lawsuit, which, among other things, sought to enjoin the company's acquisition in a "going private" transaction. The transaction, valued at approximately $525 million, was not enjoined. For additional information, please see our Securities Litigation page. Defeated a putative class action alleging violations of the Displaced Janitor Opportunity Act against owners and operators of a sporting arena and home to a NHL hockey team. Represented a semiconductor manufacturer in defense of a putative wage and hour class action alleging misclassification of exempt employees. Irell successfully petitioned the court to compel arbitration, relying on recent Supreme Court authority finding that employee arbitration agreements are enforceable under the FAA. On behalf of an international fast food chain, obtained a dismissal of a putative opt-in class (FLSA) and putative Rule 23 class action under the Colorado Minimum Wage of Workers Act alleging inadequate reimbursement for job-related expenses, causing wages to fall below federal/state minimums. On behalf of an international fast food chain, obtained dismissal of class and California Private Attorney General Act (PAGA) claims in a putative class action on behalf of over 15,000 current and former hourly restaurant employees. The plaintiff alleged claims for unpaid meal and rest breaks, overtime pay and other unpaid wages and penalties under the California Labor Code. The Ninth Circuit affirmed the decision in its entirety and awarded our client its costs. Represented a fast food chain in a dispute addressing whether a settlement agreement should be interpreted to include 140 class members who had been inadvertently omitted from the class list. Irell filed a motion to enforce the settlement agreement and the court agreed. The 140 members were added to the settlement without the payment of additional monies in the settlement fund. On behalf of a national fast food chain, Irell successfully defeated class certification of all proposed classes after obtaining a dismissal of claims against the parent company in a putative wage and hour class action brought on behalf of tens of thousands of current and former non-exempt restaurant employees in California. The plaintiffs asserted claims for missed meal and rest breaks, untimely payment of final wages, unpaid reimbursement of expenses, unpaid vacation and other alleged wage and hour violations. Successfully represented an international fast food chain in a putative class action on behalf of all California restaurant employees. The plaintiff initially filed a complaint in San Bernardino Superior Court alleging claims regarding reimbursement of travel-related expenses on behalf of all restaurant employees. Irell successfully removed the case to federal court and filed a petition to compel individual arbitration. Before the hearing on the petition, the parties reached a settlement of the plaintiff's individual claims. Once the settlement was finalized, the alleged claims on behalf of the putative class were dismissed without prejudice. Successfully petitioned the Ninth Circuit to review a decision of the district court certifying a state law wage and hour class under Federal Rule of Civil Procedure 23. Secured a summary judgment ruling for a large television and radio network dismissing a class action alleging that the network had no right to air sound recordings made before 1972 without obtaining a license from the record companies that own the recordings. Successfully represented one of the largest online book retailers as an objector to a proposed class action settlement that aimed to resolve a lawsuit brought by authors and publishers against Google based on its mass scanning of libraries and subsequent use of those scans on Google Books website. The court rejected the settlement, relying on many of the same bases as were argued by Irell. Represented a large cable network against allegations by a putative class of musical composition and sound recording owners that defendants unlawfully reproduced and displayed copyrighted works owned by plaintiffs in television shows and television commercials. Irell successfully negotiated a settlement. Represented the producers and distributors of a daytime television series against allegations by a putative class of musical composition and sound recording owners that plaintiffs' copyrighted musical compositions and sound recordings had been synchronized and reproduced in those series without appropriate licenses and seeking statutory damages. Irell successfully negotiated a favorable global settlement of all claims against the defendants. Successfully defended Hulu in consolidated putative class action cases involving the Video Privacy Protection Act and related privacy statutes based on the allegation that the defendant knowingly disclosed personally identifiable information about its users. Irell defeated class certification and obtained summary judgment on liability. Currently representing a large motion picture studio in connection with a class action lawsuit challenging the method and manner in which studios accounted for home video royalties to profit participants over the course of several decades. On behalf of a large television network, in litigations filed both in the federal and California state courts, obtained dismissals of complaints alleging class action and representative action claims that the television industry unlawfully discriminated against writers of television programming on the basis of age. Defended one of Hollywood's largest motion picture studios in an industrywide class action alleging that the studios conspired to impose unconscionable "net profits" restrictions in motion picture talent contracts. Represented one of the six national recorded music distributors in defense of a private class action claiming damages in excess of $1.5 billion for alleged price fixing of compact discs. Defended several apartment management entities in defense of class action ICRA claims.